Alhamdulillah = a way of thanking Allah. Alhamdulillah means all thanks is to Allah, because Allah made everything and He is the most powerful. Some people are blind or deaf or don’t have legs. 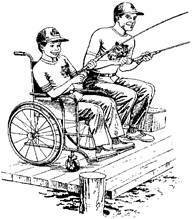 Allah created people with disabilities to help those of us who have everything be thankful for what we have. So let us remember to do only good things which Allah likes, and say Alhamdulillah for all the things he has given us. We are Muslims, which means that every thing we do is for Allah. Allah tells us that all Muslims are brothers and that we should care for each other. Jazakallah = May Allah reward you. This tells a person that you care about them because you are asking Allah to reward them for what they have done for you. Inshallah means that no matter how much we plan something, if Allah does not want it to happen, it will not happen. Little Ali’s mom had told him again and again to say Inshallah after he said he was going to do something. But Ali usually didn’t say Inshallah. One day, Ali decided he wanted to go to the park to play. He looked out of the window and the sun was shining. He asked his mom if she would drive him to the park later. She said she would Inshallah take him that afternoon. Ali called his friends to tell them that he was going to the park that afternoon. Ali's mummy heard him and told him that he should have said that he was going to go to the park Inshallah. Ali replied that that he was going for sure because the day was so nice. That afternoon, when it was time to go to the park, the sky was had become less sunny and much more cloudy, but Ali was still happy about driving to the park. But just before he reached the park, it started to rain. Very soon, it was raining very heavily, and Ali’s mom said he could not play in the park in the rain, so they drove back home. Ali was very sad. Inshallah when YOU PLAN TO do something. But remember, you should not say Inshallah when you are talking about something you do not intend to do. The Holy Prophet has said that the act most liked by Allah is making other Muslims happy. By you smiling you are telling people that you are happy to see them. If you are happy people will want to be with you and they will also be happy, but if you are sad then people will leave you on your own because they do not want to be sad as well. 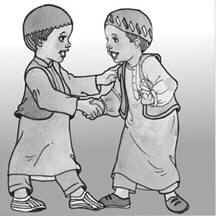 Whenever anyone was rude to Our Holy Prophet or the Imams, they used to just smile and be nice to them. The people being rude would immediately feel bad about what they had done. 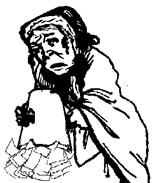 There was once an old, naughty woman who used to throw rubbish on Prophet Muhammad (s.a.w.) 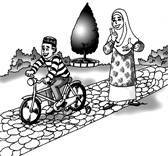 everyday when he passed her house on his way to the mosque, but he never ever got angry with her. One day when the Prophet (s.a.w.) passed the old woman's house, any rubbish did not hit him. He stopped and asked the old woman's neighbor if she was all right because she was not there to throw rubbish on him. The neighbor told him that the old woman was not well and she was in bed. So the Prophet (s.a.w.) went to visit the old woman because it is good to go and see people who are not well. "Why did you wait until I was ill to tell me off. Why didn't you come when I was well and strong?" 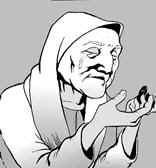 The old woman was so surprised that the Holy Prophet (s.a.w.) was being so kind to her, after she had been so mean to him, that she decided to listen to him and she became a Muslim. Draw the kind of face that Allah is pleased with. Allah likes us to share our things, especially with our brothers and sisters. Remember that everything we have is from Allah, and if we share Allah will give us more. One day a woman came to Kazim's house to see his mummy. She brought her son, Raza. Kazim's mom told him to play with Raza. So, they played in Kazim’s room with his toys. Soon, Kazim’s younger brother Adam came, and he, too, wanted to play with his brother’s toys. But Kazim did not want to play with his brother, in case Adam broke his toys. Adam was very upset and started crying. Kazim's mom asked Kazim to share his toys with his brother, but Kazim would not. A few days later, Kazim went to Raza’s house, but Raza was being mean, and would not let Kazim play with his toys. Kazim was very sad. When Kazim got home he told his mummy how mean Raza had been. 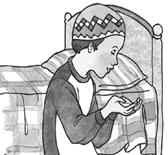 His brother Adam heard him, and told Kazim he could have his (Adam’s) favorite book to color in. Kazim realised how much his brother loved him, and was very sorry for not sharing with Adam and making him sad. He promised that from then on he would always share all his things with his brother. Brothers and sisters are very special. If we fight with a friend, they will go away, but even if we fight with our brother or sister they will always be there with us. Allah has asked us in the Qur'an to recite Salawaat for the Holy Prophet (s.a.w. )and his family, because of His great love for them. 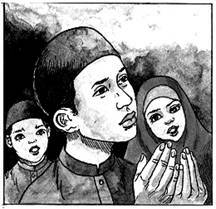 When you are reciting Salawaat you are asking Allah to send His blessings to the Prophet Muhammad and his family. Whenever you hear the name of our Holy Prophet (s.a.w.) or his family you should recite Salawaat. This is because our 12th Imam is still alive. When you are sitting not knowing what to do, you should recite Salawaat. Inshallah on the Day of Judgment the Holy Prophet and his family will ask Allah to forgive you, in return for all the Salawaat you sent to them. If we are in the habit of saying Alhamdulilah every time we sneeze, then when we go back to Allah, we will also say Alhamdulilah when we sneeze. When you sneeze you should put your hands or a tissue in front of your mouth so that you do not pass your germs to anyone else and give them your cold. It is every Muslim's duty to gain knowledge, and learn as much as you can. Knowledge is what you learn and what you know. You can learn new things at home, at mosque, in school, at school, and many other places. We will concentrate on learning in school. Remember to thank the person who is teaching you. Use that knowledge to make yourself a better person and also teach others (your younger brothers or sisters, and your friends) what you have learnt. Draw a picture of something you should NOT do in this lesson. good and bad deeds you have done in the day. Which angel has done more writing: the angel on your right shoulder writing good deeds, or the angel on your left writing bad deeds. Say sorry to Allah for anything bad that you have done, and promise that you will not do it again. If you have been mean to anyone, tell yourself that tomorrow you will say sorry to them. 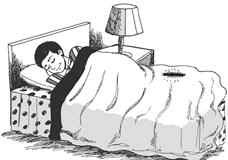 You should then sleep on your back or your right side. It is not good to sleep on your tummy. When we sleep our soul goes to visit Allah, but then Allah lets us come back and we wake up. Remember, knock on your parents door and wait for permission before you enter. You should then put on your slippers and go to the toilet. We remember Allah as soon as we wake up, then send Salaams to our 12th Imam (a.s.) and then go and greet out parents. "..Do not worship anyone except Allah and be kind to your parents.."
The Holy Prophet (s.a.w.) has also said that when we please our parents we are pleasing Allah, and when we upset them we are upsetting Allah. This is why in Islam we are told that Heaven lies under the feet of your mother. When you are ill, your parents look after you. When you are sad they are sad. When you are happy, they are happy. When you need help they are there for you. They pray for you, without you asking or even knowing. Remember to treat your grandparents with the same respect that you treat your parents. They cared for your parents just like your parents cared for you. Allah wants us to be kind to our parents.